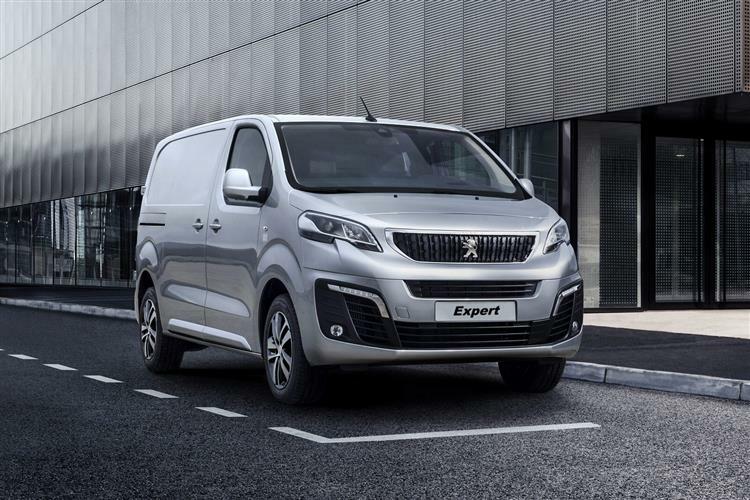 With style, size and technology now on its side, Peugeot's much improved Euro6-compatible MK3 model Expert has much to offer if you're looking for a versatile medium range Transit-class van. Want a job done properly? Then call in an Expert. In this case, we're talking LCVs, medium-sized ones to be exact. 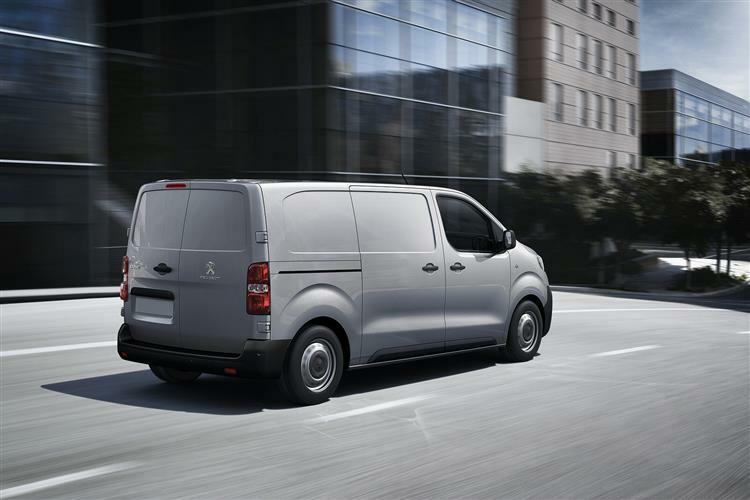 This is Peugeot's new-generation Euro6-compatible entry in the volume medium-range van sector, where VW Transporters, Vauxhall Vivaros, Mercedes Vitos, Renault Trafics and Ford Transit Custom models rule the roost. Taking on this lot isn't something you'd want to do single-handed, so the French brand has chosen to share this design not only with its partner Citroen's Dispatch model, but also with Toyota's Proace and Fiat's Talento: all these vans share the same platform. The previous generation version of this vehicle didn't significantly trouble the main players in this segment. This MK3 model though, has got itself sorted out, with more sophisticated design and larger load volumes that rival anything in the class. You get clever design, proven engines and low running costs in a package that certainly works on paper. Whether it'll cut the mustard day-in-day-out though is what we're here to find out. Engine choice in an Expert is pretty straightforward, provided you've a clear idea of the kind of work you want it to do. Sensibly, all the Euro6 units on offer are diesels and if your needs are mainly based around lighter loads and short distance urban work, then the entry-level 95bhp 1.6-litre BlueHDi unit may well be quite sufficient: this engine's also offered with 115bhp. For heavier payloads and longer journeys however, you'll be needing the 2.0-litre BlueHDi model which gives you a lot more pulling power and is available with either 120, 150 or 180bhp, the most powerful unit mated to the brand's efficient EAT6 auto transmission. 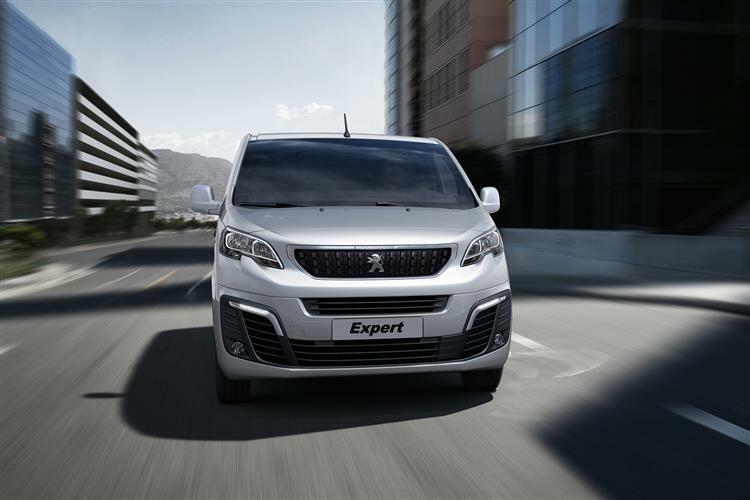 A key factor behind the success of the previous generation Expert was the way it remained compact and wieldy in the manner of smaller, more car-like vans from the class below. This model's bigger of course, but it retains much of that same usability around town and rides much better thanks to revised suspension and a stiffer EMP2 platform. Special wishbone filtering dampens the impacts of our country's terrible tarmac and the variable stiffness springs and shock absorbers deliver surprising levels of comfort whether the vehicle is loaded or unloaded. Peugeot also claims that refinement is much improved this time round. And, as before, there's the option of a Grip Control traction system. We also like the 'Driving time warning system' which flashes up a dash warning after two hours of uninterrupted driving at speeds of 40mph and above. This new generation Expert certainly has a little more road presence than its predecessor. The restyled grille features a smarter brand logo, while more sleekly designed side panels are structured with sharp lines and sculpted by concave door sills. There are low side protection strips and a solid black front bumper, this integrating air inlets across the entire width of the vehicle and aiming to emphasise what Peugeot hopes is a robust appearance. Visually, it's quite hard to pigeon-hole this vehicle into a particular market category. 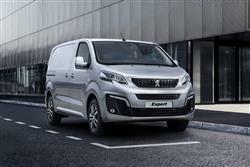 You can see that it's bigger than something like a Berlingo or Kangoo-sized Peugeot Partner but you might question whether it has the volume to take on medium range vans of Transit or Vito size. As we'll see, it has. On board, Peugeot's designers have concentrated on improving ergonomics and driving comfort this time round. You get the usual high seating position and three-person bench. 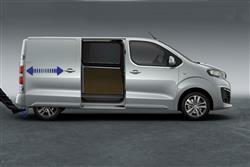 And there's certainly more cab storage space - 49-litres of it in the standard van version. Providing you haven't bought in with entry-level trim, the first thing you'll probably notice about the restyled interior is 7-inch colour touchscreen that's now been added. It can work with voice control and offers the usual 'phone and media features, plus an optional 3D Navigation system. VAT-exclusive list pricing suggests that you'll probably be paying somewhere in the £17,500 to £26,500 bracket for your Expert, depending upon the bodystyle you choose. As well as the usual panel van, there are Platform Cab and Crew Van options. 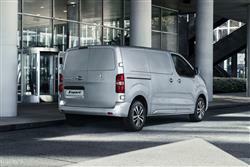 Van customers get a choice of 'Compact, 'Standard' or 'Long' body lengths. Trim levels start with 'S', then run to 'Professional' and on to 'Professional Plus'. Buyers choose between 95, 115, 120, 150 and 180bhp versions of the brand's familiar BlueHDi diesel engine Equipment levels are a lot more complete than they used to be for Expert owners. All models now get twin front airbags, a DAB radio, Bluetooth 'phone compatibility, cruise control with a speed limiter and twin sliding side doors. As usual, there's a full steel bulkhead and a three-person front bench. At the top of the range, 'Professional Plus' models further include 16-inch alloy wheels, a rear parking camera, metallic paint, auto headlamps and wipers, body-coloured bumpers and an upgraded payload. New safety features include Road sign reading that flashes road signs up on the dash as you pass them. Plus, depending on trim level, your Expert can now come with things like 'Driver Attention Alert' to combat drowsiness, a Lane Departure Warning System, Blind Spot Monitoring, Automatic main beam switching, a head-up display and Active Cruise Control. You might also want to specify the 'VisioPark' camera system. 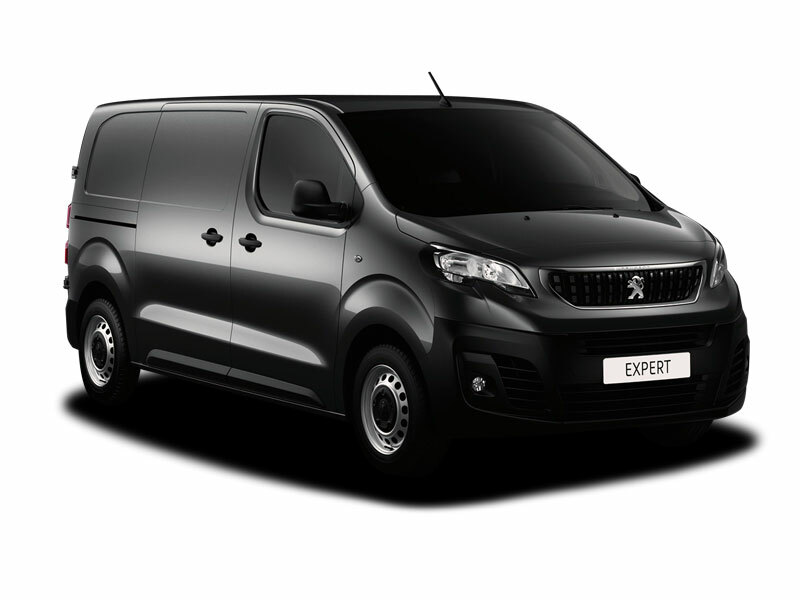 There are three key Expert bodystyles - panel van, Crew van (with second row seating) and Platform cab (for various conversions). 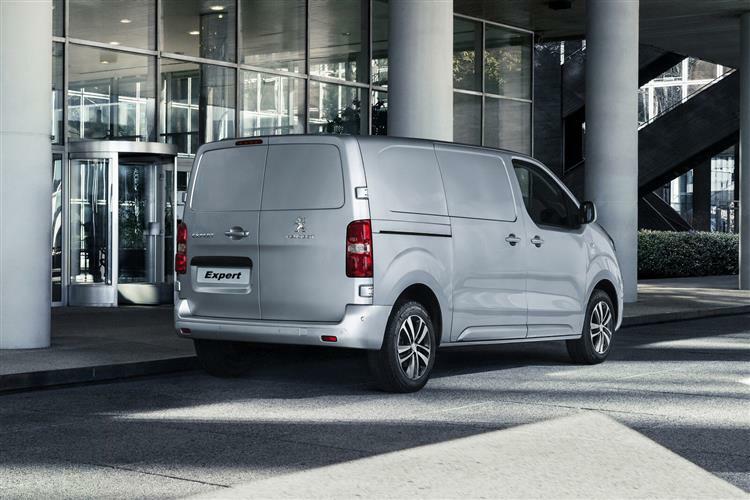 Most will want the panel van, which claims best in class interior space and comes with a choice of two wheelbases - one at 2.92m specific to the Compact version and the other at 3.27m common to the Standard and Long variants. 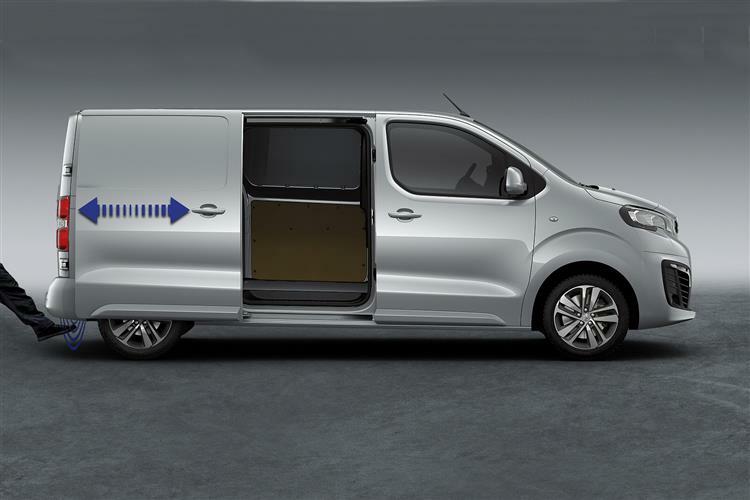 As for carriage capacity, the biggest 'Long'-spec van version can take up to 6.6m3, while the 'Standard' version manages 5.8m3 and the 'Compact' model 5.1m3. Depending on bodystyle, the loading length varies between 3.32 and 4.02m and there's 1.26m of width between the wheelarches. The 'Compact' and 'Standard' models get 1.90m of interior height, this increasing to 1.94m in the 'Long' variant. 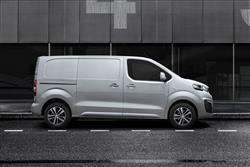 The new oblique wishbone rear suspension supports a payload of 1,400kg to make the most of the load volume. There's a towing capacity of up to 2.5-tonnes. Twin sliding side doors are standard and they can be ordered in a form that'll allow you to open them with a wave of your foot - ideal if your hands are full. Most models will be fitted with 50/50 swing doors, and these can be specified to swing round to 250-degrees. Inside the cargo area, there are the usual options to trim up the sides or to add a full ply-lining kit. As for running costs, well depending on BlueHDi diesel engine choice, you'll manage between 45 and 55mpg on the combined cycle and between 133 and 151g/km of CO2. 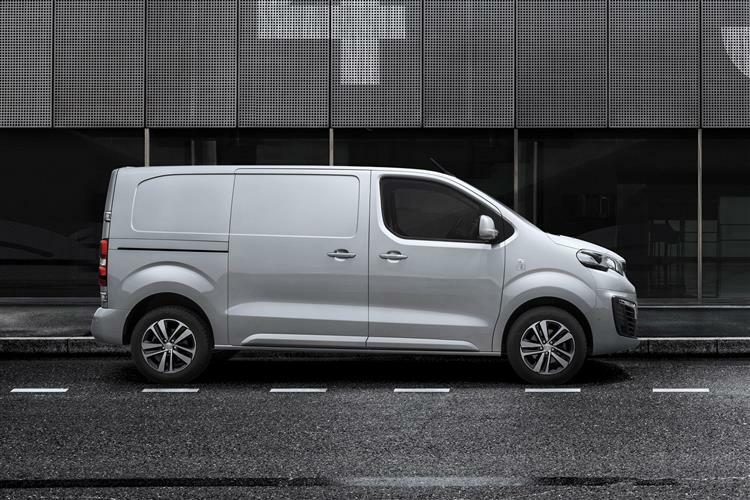 Despite the recent growth in sales of ever-larger compact vans, you can see why so many operators still choose to play it safe and opt for a larger but still relatively light and manoeuvrable LCV like this one. The Expert's designers have clearly looked very closely at what modern businesses need and this smarter new generation Euro6 version makes even more sense on the balance sheet. It's more than competitive against the Transits, Vivaros and Trafics of this world, but whether you'd want one over its Citroen and Fiat design stablemates will depend as usual much upon the deal that you're offered and the proximity of your local franchise. Still, Peugeot's huge dealer network and tight pricing sets it up nicely here. It's user-friendly - just like this van.